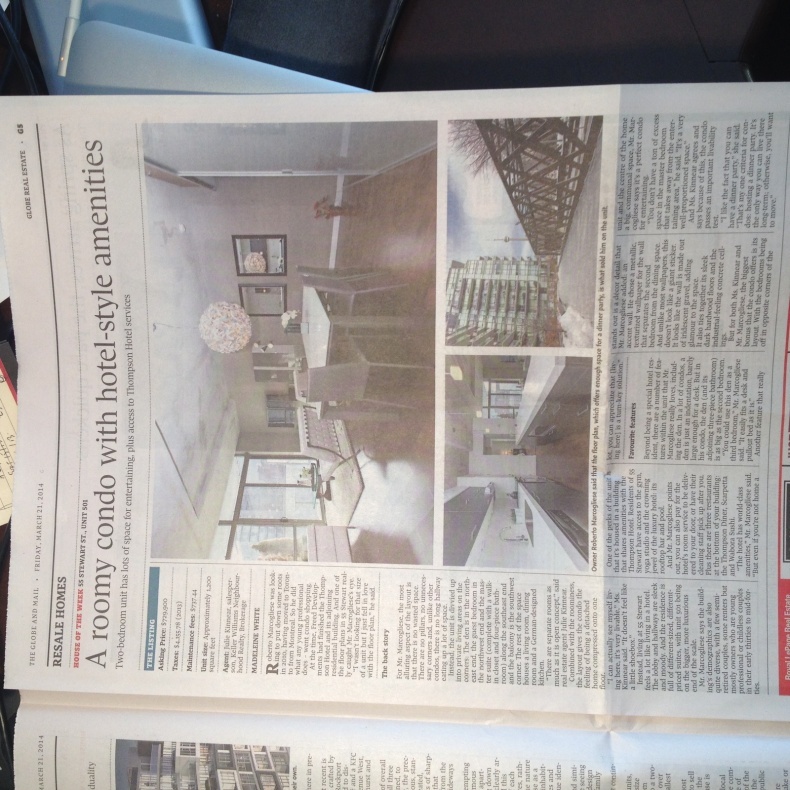 We are very excited to see that our condo listing at 55 Stewart St. is the House of the Week! We have had great feedback from the article, lots of interested buyers and a possible listing from it, how awesome! !